During the period, composers and performers used more elaborate[clarification needed] musical ornamentation (typically improvised by performers), made changes in musical notation (the development of figured bass as a quick way to notate the chord progression of a song or piece), and developed new instrumental playing techniques. Baroque music expanded the size, range, and complexity of instrumental performance, and also established the mixed vocal/instrumental forms of opera, cantata and oratorio and the instrumental forms of the solo concerto and sonata as musical genres. Many musical terms and concepts from this era, such as toccata, fugue and concerto grosso are still in use in the 2010s[update]. Dense, complex polyphonic music, in which multiple independent melody lines were performed simultaneously (a popular example of this is the fugue), was an important part of many Baroque choral and instrumental works. The Florentine Camerata was a group of humanists, musicians, poets and intellectuals in late Renaissance Florence who gathered under the patronage of Count Giovanni de' Bardi to discuss and guide trends in the arts, especially music and drama. In reference to music, they based their ideals on a perception of Classical (especially ancient Greek) musical drama that valued discourse and oration. As such, they rejected their contemporaries' use of polyphony (multiple, independent melodic lines) and instrumental music, and discussed such ancient Greek music devices as monody, which consisted of a solo singing accompanied by a kithara (an ancient strummed string instrument). The early realizations of these ideas, including Jacopo Peri's Dafne and L'Euridice, marked the beginning of opera, which were a catalyst for Baroque music. 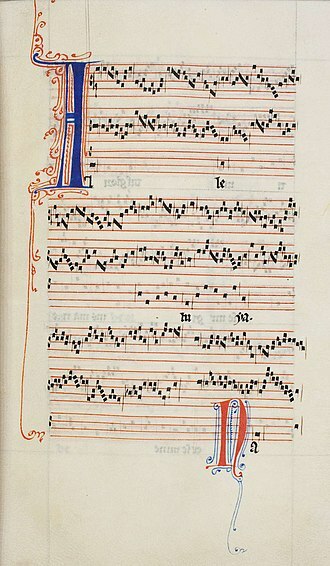 Concerning music theory, the more widespread use of figured bass (also known as thorough bass) represents the developing importance of harmony as the linear underpinnings of polyphony. Harmony is the end result of counterpoint, and figured bass is a visual representation of those harmonies commonly employed in musical performance. With figured bass, numbers, accidentals or symbols were placed above the bassline that was read by keyboard instrument players such as harpsichord players or pipe organists (or lutenists). The numbers, accidentals or symbols indicated to the keyboard player what intervals she should play above each bass note. The keyboard player would improvise a chord voicing for each bass note. Composers began concerning themselves with harmonic progressions, and also employed the tritone, perceived as an unstable interval, to create dissonance (it was used in the dominant seventh chord and the diminished chord. An interest in harmony had also existed among certain composers in the Renaissance, notably Carlo Gesualdo; However, the use of harmony directed towards tonality (a focus on a musical key that becomes the "home note" of a piece), rather than modality, marks the shift from the Renaissance into the Baroque period. This led to the idea that certain sequences of chords, rather than just notes, could provide a sense of closure at the end of a piece—one of the fundamental ideas that became known as tonality. By incorporating these new aspects of composition, Claudio Monteverdi furthered the transition from the Renaissance style of music to that of the Baroque period. 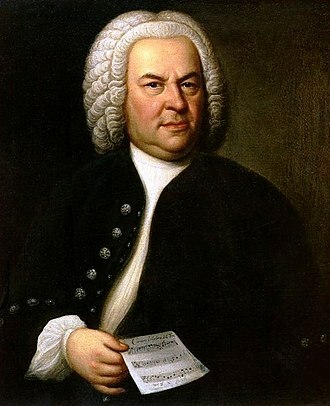 He developed two individual styles of composition—the heritage of Renaissance polyphony (prima pratica) and the new basso continuo technique of the Baroque (seconda pratica). With basso continuo, a small group of musicians would play the bassline and the chords which formed the accompaniment for a melody. 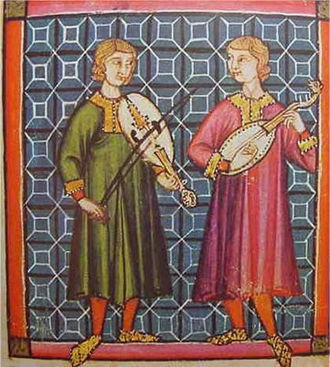 The basso continuo group would typically use one or more keyboard players and a lute player who would play the bassline and improvise the chords and several bass instruments (e.g., bass viol, cello, double bass) which would play the bassline. 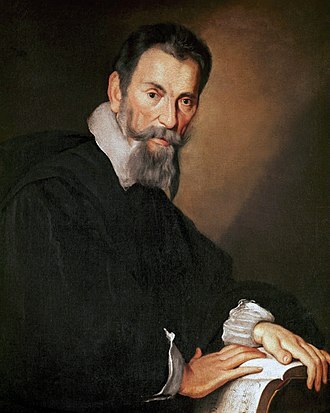 With the writing of the operas L'Orfeo and L'incoronazione di Poppea among others, Monteverdi brought considerable attention to this new genre. The rise of the centralized court is one of the economic and political features of what is often labelled the Age of Absolutism, personified by Louis XIV of France. The style of palace, and the court system of manners and arts he fostered became the model for the rest of Europe. The realities of rising church and state patronage created the demand for organized public music, as the increasing availability of instruments created the demand for chamber music, which is music for a small ensemble of instrumentalists. The middle Baroque period in Italy is defined by the emergence of the vocal styles of cantata, oratorio, and opera during the 1630s, and a new concept of melody and harmony that elevated the status of the music to one of equality with the words, which formerly had been regarded as pre-eminent. The florid, coloratura monody of the early Baroque gave way to a simpler, more polished melodic style. These melodies were built from short, cadentially delimited ideas often based on stylized dance patterns drawn from the sarabande or the courante. The harmonies, too, might be simpler[clarification needed] than in the early Baroque monody, and the accompanying bass lines were more integrated with the melody, producing a contrapuntal equivalence of the parts that later led to the device of an initial bass anticipation of the aria melody. This harmonic simplification also led to a new formal device of the differentiation of recitative (a more spoken part of opera) and aria (a part of opera that used sung melodies). The most important innovators of this style were the Romans Luigi Rossi and Giacomo Carissimi, who were primarily composers of cantatas and oratorios, respectively, and the Venetian Francesco Cavalli, who was principally an opera composer. Later important practitioners of this style include Antonio Cesti, Giovanni Legrenzi, and Alessandro Stradella. 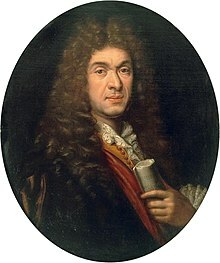 One pre-eminent example of a court style composer is Jean-Baptiste Lully. He purchased patents from the monarchy to be the sole composer of operas for the French king and to prevent others from having operas staged. He completed 15 lyric tragedies and left unfinished Achille et Polyxène. Lully was an early example of a conductor; he would beat the time with a large staff to keep his ensembles together. Musically, he did not establish the string-dominated norm for orchestras, which was inherited from the Italian opera, and the characteristically French five-part disposition (violins, violas—in hautes-contre, tailles and quintes sizes—and bass violins) had been used in the ballet from the time of Louis XIII. He did, however, introduce this ensemble to the lyric theatre, with the upper parts often doubled by recorders, flutes, and oboes, and the bass by bassoons. Trumpets and kettledrums were frequently added for heroic scenes. Arcangelo Corelli is remembered as influential for his achievements on the other side of musical technique—as a violinist who organized violin technique and pedagogy—and in purely instrumental music, particularly his advocacy and development of the concerto grosso. Whereas Lully was ensconced at court, Corelli was one of the first composers to publish widely and have his music performed all over Europe. 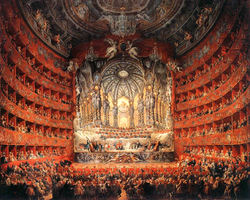 As with Lully's stylization and organization of the opera, the concerto grosso is built on strong contrasts—sections alternate between those played by the full orchestra, and those played by a smaller group. Dynamics were "terraced", that is with a sharp transition from loud to soft and back again. Fast sections and slow sections were juxtaposed against each other. Numbered among his students is Antonio Vivaldi, who later composed hundreds of works based on the principles in Corelli's trio sonatas and concerti. 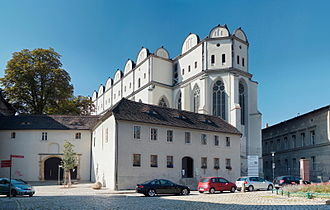 In contrast to these composers, Dieterich Buxtehude was not a creature of court but instead was church musician, holding the posts of organist and Werkmeister at the Marienkirche at Lübeck. 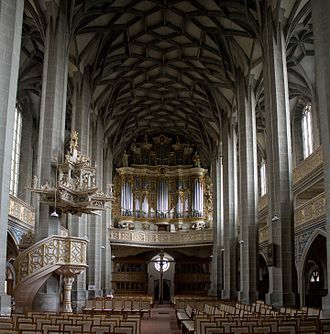 His duties as Werkmeister involved acting as the secretary, treasurer, and business manager of the church, while his position as organist included playing for all the main services, sometimes in collaboration with other instrumentalists or vocalists, who were also paid by the church. Entirely outside of his official church duties, he organised and directed a concert series known as the Abendmusiken, which included performances of sacred dramatic works regarded by his contemporaries as the equivalent of operas. The work of George Frideric Handel, Johann Sebastian Bach and their contemporaries, including Domenico Scarlatti, Antonio Vivaldi, Jean-Philippe Rameau, Georg Philipp Telemann, and others advanced the Baroque era to its climax. 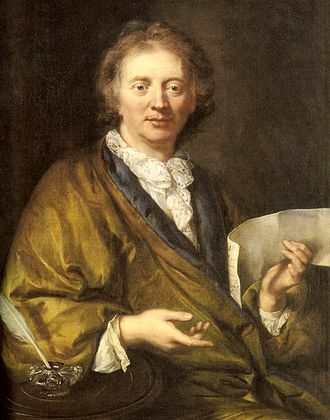 Through the work of Johann Fux, the Renaissance style of polyphony was made the basis for the study of composition for future musical eras. The composers of the late baroque had established their feats of composition long before the works of Johann Fux. A continuous worker, Handel borrowed from other composers and often "recycled" his own material. He was also known for reworking pieces such as the famous Messiah, which premiered in 1742, for available singers and musicians. 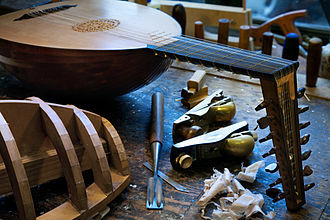 Baroque instruments, including a hurdy-gurdy, harpsichord, bass viol, lute, violin, and guitar. 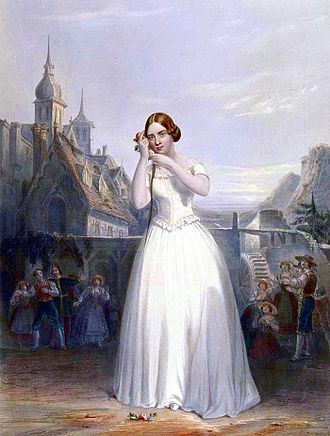 Allemande – Often the first dance of an instrumental suite, the allemande was a very popular dance that had its origins in the German Renaissance era. The allemande was played at a moderate tempo and could start on any beat of the bar. Courante – The second dance is the courante, a lively, French dance in triple meter. The Italian version is called the corrente. Sarabande – The sarabande, a Spanish dance, is the third of the four basic dances, and is one of the slowest of the baroque dances. It is also in triple meter and can start on any beat of the bar, although there is an emphasis on the second beat, creating the characteristic 'halting', or iambic rhythm of the sarabande. Gigue – The gigue is an upbeat and lively baroque dance in compound meter, typically the concluding movement of an instrumental suite, and the fourth of its basic dance types. The gigue can start on any beat of the bar and is easily recognized by its rhythmic feel. The gigue originated in the British Isles. Its counterpart in folk music is the jig. 4 time and always starts on the third beat of the bar, although this may sound like the first beat in some cases, as the first and third beats are the strong beats in quadruple time. The gavotte is played at a moderate tempo, although in some cases it may be played faster. 2 time, although it starts on the second half of the last beat of the bar, creating a different feel to the dance. 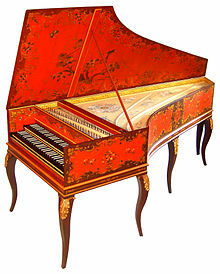 The bourrée is commonly played at a moderate tempo, although for some composers, such as Handel, it can be taken at a much faster tempo. Additionally, there are numerous other dance forms as well as other pieces that could be included in a suite, such as Polonaise, Loure, Scherzo, Air, etc. Prelude – a suite might be started by a prelude, a slow piece written in an improvisatory style. Some Baroque preludes were not fully written out; instead, a sequence of chords were indicated, with the expectation that the instrumentalist would be able to improvise a melodic part using the indicated harmonic framework. The prelude was not based on a type of dance. The da capo aria "enjoyed sureness". The ritornello aria – repeated short instrumental interruptions of vocal passages. 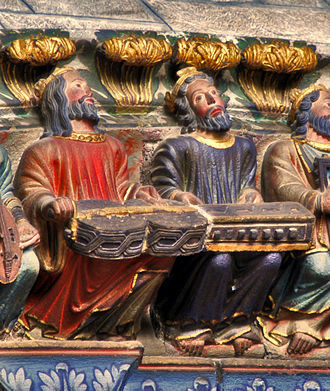 The concertato style – contrast in sound between groups of instruments. ^ a b c d e Palisca 2001. ^ a b Mackay and Romanec 2007. ^ Palisca 1989, pp. 7–8. ^ "BAROQUE : Etymologie de BAROQUE". www.cnrtl.fr. Retrieved 2019-01-04. ^ Sachs 1919, pp. 7–15. ^ Wainwright and Holman 2005, p. 4. ^ Clarke 1898, pp. 147–48. ^ Carter and Chew 2013. ^ a b White and Hochradner 2013. ^ a b La Gorce 2001. ^ a b Talbot 2001a. ^ a b c d e f g h i Kenyon 1997. ^ a b c d Estrella 2012. ^ a b c Dorak 2008. ^ a b c Shotwell 2002. Bukofzer, Manfred F. (1947). Music in the Baroque Era: From Monteverdi to Bach. New York: E. W. Norton & Company, Inc. ISBN 0-393-09745-5. Burrows, Donald (1991). Handel: Messiah. Cambridge, New York, and Melbourne: Cambridge University Press. ISBN 0-521-37620-3. Clarke, Hugh Archibald (1898). A System of Harmony. Philadelphia: T. Presser. ISBN 978-1-248-37946-2. Chua, Daniel K. L. (2001). "Vincenzo Galilei, Modernity, and the Division of Nature". In Clark, Suzannah. Music Theory and Natural Order from the Renaissance to the Early Twentieth Century. ISBN 9780521771917. Donington, Robert (1974). A Performer's Guide to Baroque Music. New York: C. Scribner's Sons. ISBN 978-0-571-09797-5. Estrella, Espie (2012). "The Suite: Baroque Dance Suite". About.com. Grout, Donald J.; Claude V. Palisca (1996). A History of Western Music. New York: W. W. Norton. Haagmans, Dirk (1916). Scales, Intervals, Harmony. University of Michigan: J. Fischer & Bro. ISBN 978-1-4370-6202-1. Little, Meredith Ellis (2001a). Passepied. The New Grove Dictionary of Music and Musicians. London: Macmillan Publishers. ISBN 978-1-56159-239-5. Little, Meredith Ellis (2001b). Rigaudon. The New Grove Dictionary of Music and Musicians. London: Macmillan Publishers. ISBN 978-1-56159-239-5. Mackay, Alison; Craig Romanec (2007). "Baroque Guide" (PDF). Tafelmusik. Norton, Richard (1984). Tonality in Western Culture: A Critical and Historical Perspective. University Park: Pennsylvania State University Press. ISBN 978-0-271-00359-7. Nuti, Giulia (2007). The Performance of Italian Basso Continuo: Style in Keyboard Accompaniment in the Seventeenth and Eighteenth Centuries. Aldershot, England: Ashgate Publishing. ISBN 978-0-7546-0567-6. Palisca, Claude V. (1989). "'Baroque' as a Music-Critical Term". In Georgia Cowart. French Musical Thought, 1600–1800. Ann Arbor: UMI Research Press. pp. 7–22. ISBN 9780835718820. 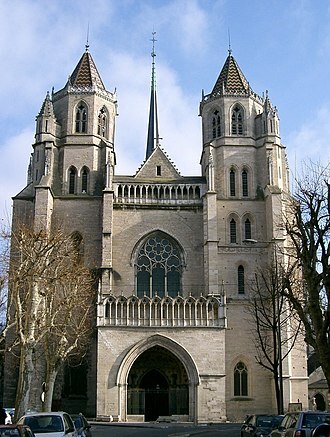 Palisca, Claude V. (2001). Baroque. The New Grove Dictionary of Music and Musicians. London: Macmillan Publishers. ISBN 978-1-56159-239-5. Roseman, Ronald (1975). "Baroque Ornamentation". Journal of The International Double Reed Society 3. Archived from the original on April 20, 2008. Reprinted in Muse Baroque: La magazine de la musique baroque, n.d.
Sachs, Curt (1919). "Barockmusik". Jahrbuch der Musikbibliothek Peters. 26. pp. &#91, page&nbsp, needed&#93, . Shotwell, Clay (2002). "MUSI 4350/4360: Music of the Baroque Era: General Characteristics of the Baroque". Augusta, GA: Augusta State University. Archived from the original on 30 April 2012. Retrieved 25 August 2012. Wainwright, Jonathan; Peter Holman (2005). From Renaissance to Baroque: Change in Instruments and Instrumental Music in the Seventeenth Century. Aldershot, England: Ashgate Publishing. ISBN 978-0-7546-0403-7. Wallechinsky, David (2007). The Knowledge Book: Everything You Need to Know to Get by in the 21st century. Washington, DC: National Geographic Books. ISBN 978-1-4262-0124-0. Watkins, Glenn (1991). Gesualdo: The Man and His Music. Oxford: Oxford University Press. ISBN 978-0-19-816197-4. White, Harry; Thomas Hochradner (2013). "Fux, Johann Joseph". Grove Music Online. Oxford University Press. York, Francis L. (1909). Harmony Simplified: A Practical Introduction to Composition. Boston: Oliver Ditson and Company. ISBN 978-1-176-33956-9. Hoffer, Brandi (2012). "Sacred German Music in the Thirty Years' War", Musical Offerings: Vol. 3: No. 1, Article 1. Available at http://digitalcommons.cedarville.edu/musicalofferings/vol3/iss1/1. Strunk, Oliver. Source Readings in Music History. From Classical Antiquity to the Romantic Era. London: Faber & Faber, 1952. It is used sometimes in classical music. In solo music for piano and pipe organ, these instruments have an excellent lower register that can be used to play a deep bassline, on organs, the bass line is typically played using the pedal keyboard and massive 16 and 32 bass pipes. Basslines in popular music often use riffs or grooves, which are simple, appealing musical motifs or phrases that are repeated, with variation. The bass differs from other voices because of the role it plays in supporting and defining harmonic motion. It does so at levels ranging from immediate, chord-by-chord events to the harmonic organization of a entire work. Bassline riffs usually emphasize the chord tones of each chord, which helps to define a songs key, at the same time, basslines work along with the drum part and the other rhythm instruments to create a clear rhythmic pulse. The type of rhythmic pulse used in basslines varies widely in different types of music, in swing jazz and jump blues, basslines are often created from a continuous sequence of quarter notes in a mostly scalar, stepwise part called a walking bass line. In Latin, salsa music, jazz fusion, electronica, in bluegrass and traditional country music, basslines often emphasize the root and fifth of each chord. 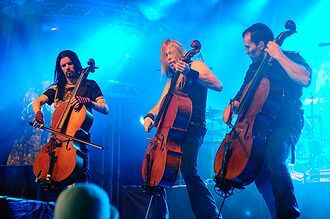 In classical music such as string quartets and symphonies, basslines play the same harmonic and rhythmic role, most popular musical ensembles include an instrument capable of playing bass notes. In the 1890s, a tuba was often used, from the 1920s to the 1940s, most popular music groups used the double bass as the bass instrument. Starting in the 1950s, the bass guitar began to replace the bass in most types of popular music, such as rock and roll, blues. By the 1970s and 1980s, the bass was used in most rock bands. The double bass was used in some types of popular music that recreated styles from the 1940s and 1950s such as jazz, traditional 1950s blues, jump blues, country. In some popular bands, keyboard instruments are used to play the bass line. In organ trios, for example, a Hammond organ player performs the basslines using the pedal keyboard. Antonio Lucio Vivaldi was an Italian Baroque composer, virtuoso violinist and cleric. Born in Venice, he is recognized as one of the greatest Baroque composers and he composed many instrumental concertos, for the violin and a variety of other instruments, as well as sacred choral works and more than forty operas. His best-known work is a series of violin concertos known as The Four Seasons, many of his compositions were written for the female music ensemble of the Ospedale della Pietà, a home for abandoned children where Vivaldi was employed from 1703 to 1715 and from 1723 to 1740. Vivaldi had success with expensive stagings of his operas in Venice, Mantua. After meeting the Emperor Charles VI, Vivaldi moved to Vienna, the Emperor died soon after Vivaldis arrival, and Vivaldi himself died less than a year in poverty. Antonio Lucio Vivaldi was born in 1678 in Venice, the capital of the Republic of Venice and he was baptized immediately after his birth at his home by the midwife, which led to a belief that his life was somehow in danger. Though not known for certain, the childs immediate baptism was most likely due either to his health or to an earthquake that shook the city that day. In the trauma of the earthquake, Vivaldis mother may have dedicated him to the priesthood, Vivaldis official church baptism took place two months later. 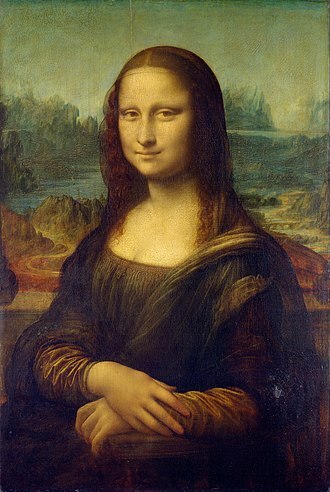 Vivaldis parents were Giovanni Battista Vivaldi and Camilla Calicchio, as recorded in the register of San Giovanni in Bragora, Giovanni Battista, who was a barber before becoming a professional violinist, taught Antonio to play the violin and toured Venice playing the violin with his young son. Antonio was probably taught at an age, judging by the extensive musical knowledge he had acquired by the age of 24. Giovanni Battista was one of the founders of the Sovvegno dei musicisti di Santa Cecilia, the president of the Sovvegno was Giovanni Legrenzi, an early Baroque composer and the maestro di cappella at St Marks Basilica. 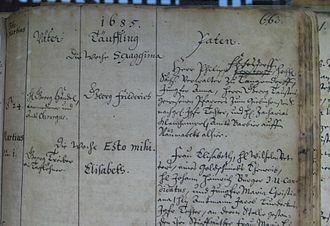 It is possible that Legrenzi gave the young Antonio his first lessons in composition, the Luxembourg scholar Walter Kolneder has discerned the influence of Legrenzis style in Vivaldis early liturgical work Laetatus sum, written in 1691 at the age of thirteen. This era was without a dominant style and composers have created highly diverse kinds of music. 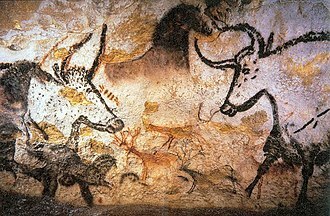 Modernism, post-romanticism, expressionism, later, serialism, musique concrète and electronic music were all developed during this period. Jazz was an important influence on composers in this period. At the turn of the century, music was characteristically late Romantic in style, composers such as Gustav Mahler, Richard Strauss and Jean Sibelius were pushing the bounds of Post-Romantic Symphonic writing. At the same time, the Impressionist movement, spearheaded by Claude Debussy, was being developed in France, maurice Ravels music, often labelled as impressionist, explores music in many styles not always related to it. Many composers reacted to the Post-Romantic and Impressionist styles and moved in different directions. From this sprang an unprecedented linguistic plurality of styles, techniques, in Vienna, Arnold Schoenberg developed atonality, out of the expressionism that arose in the early part of the 20th century. He developed the technique which was developed further by his disciples Alban Berg and Anton Webern. Stravinsky explored twelve-tone technique, too, as did many other composers, even Scott Bradley used the technique in his scores for the Tom, after the First World War, many composers started returning to the past for inspiration and wrote works that draw elements from it. This type of music thus became labelled neoclassicism, igor Stravinsky, Sergei Prokofiev and Paul Hindemith all produced neoclassical works. Italian composers such as Francesco Balilla Pratella and Luigi Russolo developed musical Futurism and this style often tried to recreate everyday sounds and place them in a Futurist context. The Machine Music of George Antheil and Alexander Mosolov developed out of this, in the 1940s and 50s composers, notably Pierre Schaeffer, started to explore the application of technology to music in musique concrète. The term electroacoustic music was coined to include all forms of music involving magnetic tape, synthesizers, multimedia. Violone or great bass viol. Painting by Sir Peter Lely, c. 1640, Dutch-born English Baroque era painter. Note the Italianate shape, square shoulders, and F-holes, apart from its massive size. Plate from Christopher Simpson's book, The Division Violist, England, 1659–1667 edition. Illustration from Sebastian Virdung's (German) 1511 treatise Musica Getutsch, showing the lute family—plucked and bowed. This is the first printed illustration of a viol in history. This is Buxtehude House. The spire of St. Olaf's is in the background. Monument in the Basilica of St Anthony in Padua. 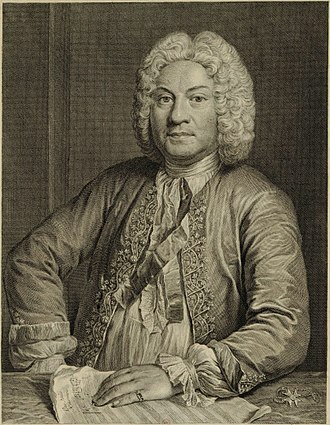 Couperin, engraving by Jean Jacques Flipart, 1735, after André Bouys.